Despite a problem with the hybrid system, the trio of Romain Dumas, Neel Jani and Marc Lieb have finished second with their Porsche 919 Hybrid in Spa-Francorchamps and extended the lead in the WEC championship. 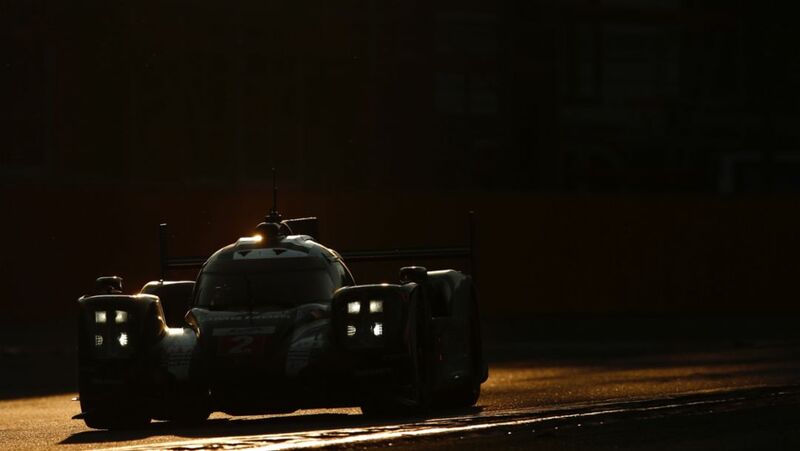 The second round of the FIA World Endurance Championship (WEC) was a tough test for the Porsche Team. After two punctures, the sister car of Timo Bernhard (DE), Brendon Hartley (NZ) and Mark Webber (AU) spent more than one-and-a-half hours of the six-hour race in the garage for repairs. In the end it came 5th in the LMP1 category for hybrid cars. In the manufacturer standings Porsche leads now with 54 points ahead of Toyota (45) and Audi (41). 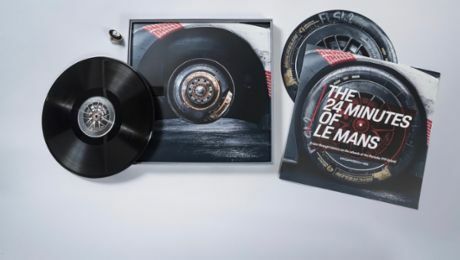 The fastest lap of the race, achieved by Brendon Hartley (1:58.431 minutes), gives an idea of what would have been possible for the Porsche 919 in Spa. Following the season’s opening race at Silverstone this is the second fastest race lap for Porsche’s Le Mans prototype in 2016. Track temperatures of up to 50 degrees celsius gave much warmer conditions than expected for the race in the Ardennes mountains. Start driver Brendon Hartley builds up a solid lead until his first pit stop after 23 laps. Timo Bernhard takes over with fresh tyres and continues in second position. The number 5 Toyota takes the lead after refraining from a driver and tyre change. Bernhard is faster, a breath-taking battle develops between him and Sébastien Buemi. Bernhard overtakes in La Source, Buemi strikes back in Eau Rouge. Entering lap 37 Bernhard reports a puncture, having seven kilometres to drive before reaching the pits. While bringing the car home, the tyre falls apart and damages the body work. In the pits the front nose is changed, Mark Webber takes over. On lap 45 the front left tyre is damaged again – a result of the first puncture. After a longer stop for repairs Brendon Hartley rejoins the race. When the race is 56 laps old, the number 1 car is four laps down in 14th position when the next pit stop is due. The front gearbox was damaged due to very different wheel speeds of the two front wheels when bringing the car home with the damaged tyres. At 16:38 hrs local time the repair begins. At 18:17 hrs the 919 with Webber at the wheel leaves the pits again, having a 51 laps deficit to the leaders. He does a 24-lap stint before he hands over to Bernhard. The gap to the leaders is now 49 laps. After 137 laps into the race, Hartley jumps in for the final stint, using a safety car period. He brings the car home in 27th place overall and fifth in the hybrid class. Marc Lieb has a good start and follows his teammate in second position. After almost six laps Lieb reports a problem with the hybrid system. Car number 2 cannot use the full electric power for the remaining race distance. After 22 laps Neel Jani jumps into the handicapped car. On lap 47 he hands it over to Romain Dumas before Lieb gets behind the wheel again after 71 laps. At the end of 95 laps Lieb hands over to Jani. Despite the reduced power Dumas/Jani/Lieb are driving in third position because Audi and Toyota have problems with one car each. On lap 113 the leading Toyota number 5 has technical issues as well, Jani is promoted to second. After 118 laps Jani pits and hands over to Dumas who comes for a final refuelling during a safety car period and finishes in P2. 56,000 spectators watched as the Porsche 911 RSR narrowly missed out on its first podium result at the second round of the Sports Car World Endurance Championship WEC. 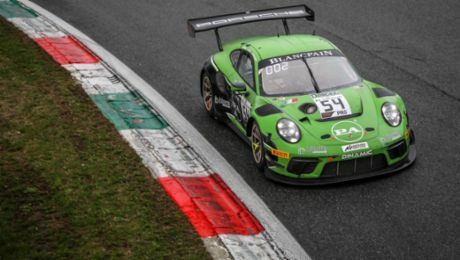 At the wheel of the Dempsey Proton Racing-campaigned 911 RSR, which Porsche built based on the seventh generation of the iconic 911 sports car, Richard Lietz (Austria) with teammate Michael Christensen (Denmark) scored fourth place in the GTE-Pro class. In 2015 Lietz won the FIA World Endurance Trophy as the best GT pilot in the WEC. Patrick Long was even closer to claiming a podium spot. Driving the 911 RSR of the Abu Dhabi Proton Racing customer team, the American was running in position two in the GTE-Am class with three laps to the finish. His spirited chase through the field, however, remained unrewarded: An LMP2 prototype, which was no longer in contention in the race, shunted Long’s car off the track at the end of the finish straight. Long was forced back into the pits and was ultimately classified as sixth with Khaled Al Qubaisi (United Arab Emirates) and David Heinemeier Hansson (Denmark). In sunshine and spring temperatures in the Belgian Ardennes, the 911 RSR campaigned by the KCMG team also looked to be on track for the podium over much of the distance. In the end, Wolf Henzler (Nürtingen), Christian Ried (Germany) and Joel Camathias (Switzerland) had to settle for fourth GTE-Am place. The 911 RSR run by Gulf Racing finished fifth with the all-British team Ben Barker, Michael Wainwright and Adam Carroll sharing driving duties. New motorsport strategy with a clear focus on electromobility and the GT class: From 2019, a Porsche works team will compete in Formula E.